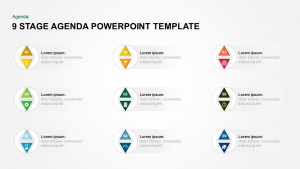 Agenda presentation is an integral part of any meeting. This will help you highlight key point so you don’t miss out anything important. 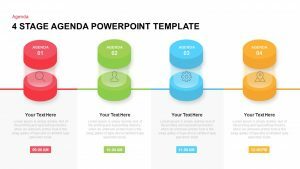 Use our agenda 6 stages timeline diagram to set the tone for your business meeting. 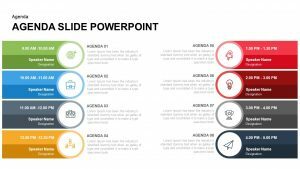 The timeline agenda presentation slide is uncomplicated and easy to use. This single slide can be used to produce timeline of business development, business strategies and steps and stages. 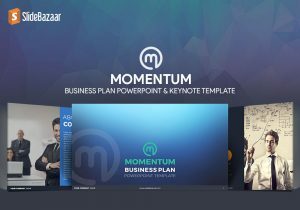 The business diagram template is compatible with other PowerPoint templates that you have been already downloaded from slide bazaar gallery. 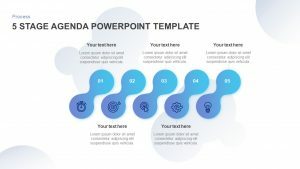 If you are presenting at a conference with many topics to cover, agenda template is advisable. Further, the audience will get a little idea about, what you are going to present. 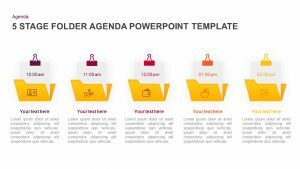 Agenda PowerPoint templates give an overall descriptions of your meeting and the audience can realize the upcoming topic of the meeting. 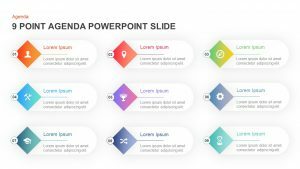 The agenda timeline diagram for PowerPoint presentation is a flat and modern vertical layout of a numbered list. 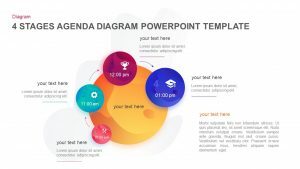 The SmartArt vector design is useful for various business and marketing meetings. 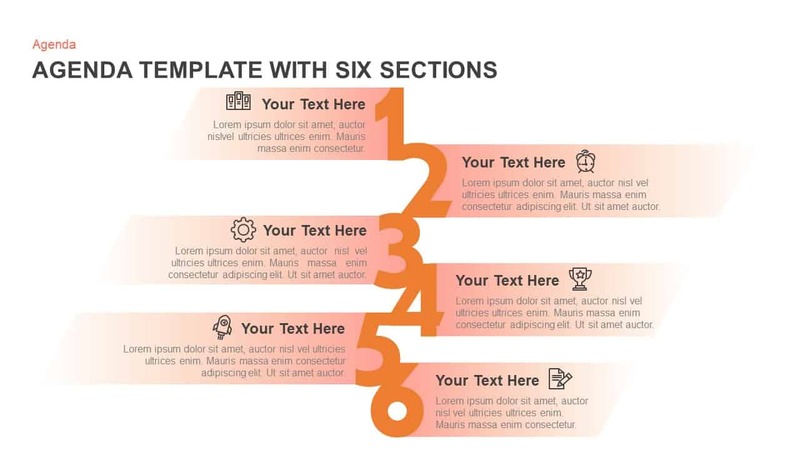 The diagram contains six bullet lists arranged in a vertical sequence suitable for perfect illustration of texts or agenda of the meeting. The perfectly arranged texts placeholders can be used to show any topic of any subject. 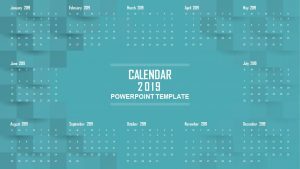 The infographic PowerPoint template may use to monitor budget allocation of a company during the last six years. 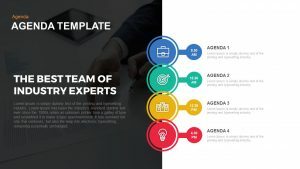 Besides, the concept of innovative strategies that helps improve the phases of business development and organizational growth can be depicted using the 6 stage agenda template. 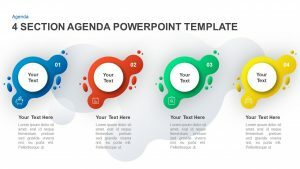 Six stage agenda PowerPoint template enable you to list out key factors on a large scale. 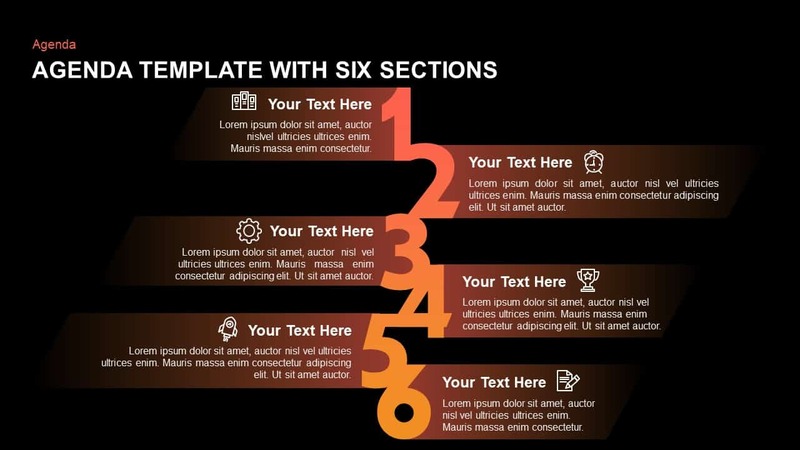 The orange color with gradient effect makes the diagram more attracting and engaging. 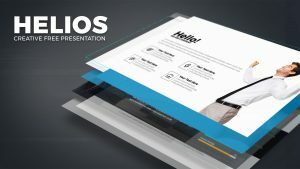 Easy extraction of the topic enables the audience to stay on the presentation. Be sure that all the facts due for discussion have got due attention. Feel with added confidence that you have arrived at accurate conclusion.